You read that right! 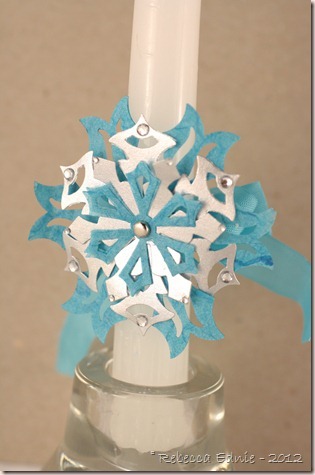 Not only do I have a home dec project for you today, I even have a tutorial! I’m afraid I’m not very good at remembering to take photos for every little step but it’s so easy, I promise you will get it. So, project and sketch first then the tutorial! This is also for The Shabby Tea Room Anything Goes! This is a dollar store lover’s dream project! 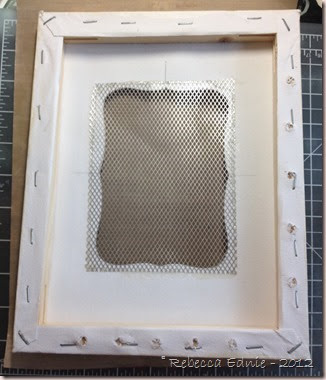 The (wonky) canvas, wire mesh and dowels were all purchased there. I’m sure you could get beads, wire, flowers, washi tape, ribbon, foam squares, charms, lace, paper and paint though I’ve no idea if you can find things that approach the look you see here. I know in the US there are way better stores than here. Here’s a close-up of some of the pegs, I’ll have more extreme close-ups later. Aren’t the beads pretty? Each peg is slightly different and they are functional as well as lovely. I wanted to make sure that necklaces and bracelets didn’t fall off the pegs! Everyone knows that earrings go through the mesh right? I still plan to embellish it more, I just ran out of time. I think I’m going to add Tim H’s Grunge Board Printer’s Blocks to spell BLISS at the bottom with gold swirls and pearls/rhinestones/sequins etc. Cool right? I also want to colour the mesh gold. Not sure if I’m going to try to use my Krylon pen or buy some model paint designed for metal. I had a blast with this sketch as you can see! 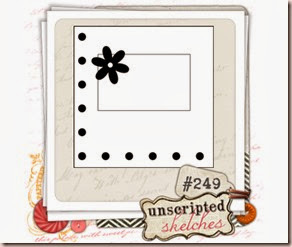 Please visit the other gal’s blogs and leave them some lovin’ (comments) and be sure to support our challenge at Unscripted Sketches by making’ somethin’ groovy and linking it up! And don’t leave now! Please stand by for more close-ups and my tutorial! Need to sort out all your jewelry? Need a place that won’t leave it in knots and tangled with other pieces? Can never find the second earring? 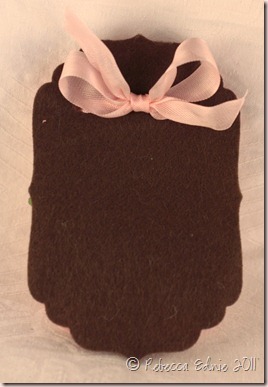 Need a great customizable gift for the gal who has everything? Bridesmaids’ Gifts? Tada! Artist Canvas in your choice of size. Unless this is for a girl I’d recommend no smaller than 8×10”. If you want to cover it in full sheets of scrapbook paper, no larger than 11 or 12×16” or you will have more than one seam. Paint or paper to cover canvas. This is so up to you that I really can’t make a list for you. I used MME paper and Golden Fluid Acrylic paint in Titan Buff. Before that, I added a layer of Gesso over the questionable layer on the canvas when purchased. 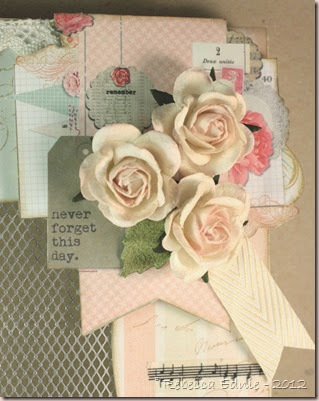 You could add anything you would to the front of a card or to a scrapbook page, the possibilities are endless. An inspiring word, quote, monogram or her/your name might be nice. 1. Decide on the placement for your pegs. Note in the photo above that you may not be able to add dowels in the corners because of how the wooden frame is put together. Other than that you can wing it or measure precisely. 3. Cut the dowels to your preferred length. Mine were 1 1/2” long and my canvas was 3/4” thick so that amount was also what was showing. Unless the necklaces are very thick even right at the back of the neck, that is plenty, even with the wire wrapped beads we will add. Sand them smooth on one side. Do not add the dowels yet! My hubby asked how I will see what I have on the left when they will be hanging on top of one another. There are two possibilities. If you are a quirky gal, hang it on an angle. If not, hang bracelets there or necklaces that aren’t likely to tangle. If the top necklace hangs on one side of the pegs and the second on the other and vice versa, I think you will be ok. Of course, if you aren’t making this for a sketch challenge, feel free and add more pegs wherever you’d like, just being careful of those corners. 4. 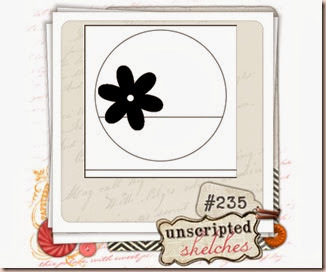 Decide what shape your opening will be and trace it onto the back of your canvas. 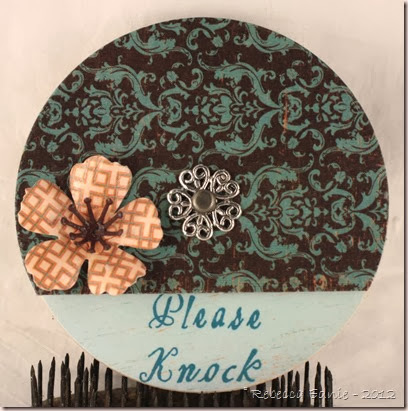 I used the largest Labels 8 by Spellbinders. Make a slit in the opening and cut with scissors or if you are good with an X-acto, use that. Be very careful not to stretch the canvas around the edges. I chose one large opening but you could do more than one small opening too like several small hearts or the centers of flowers. OK, so the structure is done so we are on to decorating right? Uh, but what about the dowels. Don’t worry, didn’t forget those. When you add them depends on how you are decorating. If you are adding paper, add the dowels last*. If you are painting, add the dowels now. Stencilling-later… you get the idea. If you are doing any kind of technique which requires a flat surface, leave the dowels to later. If you want them to meld with your surface effects, add them now. You could even paint them along with the canvas, remove them (pound a short piece of scrap dowel in from the back about 2/3 of the way then remove the scrap with regular pliers), number them, do whatever other surface treatment you’d like, then replace them. Anyway, whatever you choose, here’s how to do it. * poke a needle through the holes from the back. Then jab fine tipped scissors (closed) through from the top and press the excess paper into the hole. Unless you have many layers, it will just make it a bit tighter fit. If the dowel won’t go in, remove the lowest layers, keeping the top one intact as best you can. When it folds inwards as the dowel goes it, it gives the nicest finish. Make sure all glue is dry or it will tear. 6. If your dowels aren’t painted or finished, do that now. Pound the dowels into the holes with a mallet until they sit flush with the back of the canvas. A mallet will ensure the wood is not marred and neither is the finish. If you only have a metal hammer, wad up some scrap cardstock, 4-6 layers, and shape it into a kind of a cup shape over the head of the hammer and tape it on. Now pound it in gently. Unless you wiggled your drill bit, they should fit perfectly and not even need glue. 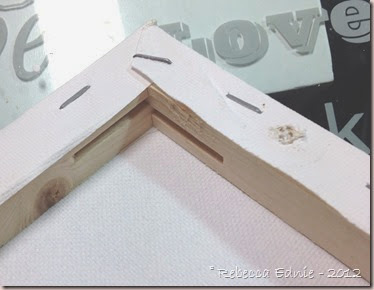 If they are a bit loose, never fear, add a bit of white glue and let that set checking that your dowel is at the correct angle while it dries. A clothespin may help here. 7. Now, the best part! The beads! I worked with the spool of wire here and it may seem weird at first but it’s great. These were the first two I did and I was still experimenting with the best way. The left one was not the best at all! You are going to use a lot more wire than you’d think. Add your beads to the wire in any order. Begin by adding wire along the length of the peg, starting near the base of the canvas and working up to the top of the peg. This seems like the wrong way but trust me. Now bend the wire 90 degrees and start wrapping it around the peg near the top. When you come around to where you started going around, make sure you wrap around the straight wire you started with and be sure it is tight. Wrap around twice more being sure to catch the straight wire every time. 8. In the photo above #7, you can see the right peg doesn’t have the beads distributed very evenly which wasn’t my aim, these three are much better. Now that you’ve secured the beginning of the wire, you need to slide your first bead along the wire and place it where you want it on your peg. Make a full wrap then add the next and so on. Keep your wire taut the entire time. Don’t worry if it doesn’t end up super tight, many of mine weren’t. We will fix that later. It does need to be tight enough to not spin freely though. You can try tightening the wire, unwrap and start again, or start with new wire, it isn’t expensive! In the photo below, you can see that there isn’t a lot of excess wire. with your fingers. Just thread it in, pull it tight and trim that wire, and the one you started with, closely. If the ends stick out, press them close and out of the way with something metal like the tip of a metal ruler.When working with your fingers, if you are having trouble threading the wire through a small space, magnification might help if you have it and so might putting a small hook shape on the end of your wire. Try threading the wire into a large eye needle and bending it slightly then slipping it in a bit further, bending it again and so on until you have a small hook shape. This will hook under the wire wraps more easily. 10. Your wrapping may cover more width of the peg than you might like. 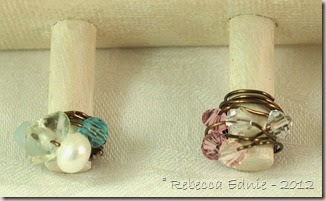 Use jewelry pliers or your fingers to squeeze the wraps together and make the wires closer like a more tightly coiled spring. Add a couple drops of a strong glue like Glossy Accents to the very bottom of the wire, in between the wires if you can, if you feel the wire may slip. Don’t want to lose that baby! 11. Last but not least, this is a home dec project. I highly recommend that you seal all paper layers with some sort of spray sealer or gel medium for longevity. This week I took inspiration from an unconventional source. An item from a women’s steals site. The item I was inspired by was basically the same, a sign for your door with a turning upper layer that rotates to reveal several different signs which I should at SheSteals.com. There was one for your dishwasher, clean vs dirty, too. There are magnets on the back to hold it in place. I would have added some lade or ribbon or more layers of paper but I wanted it to be weather-proof in case I left it out and it started to rain or snow. What I have to really remember is to not leave it out too long with the ‘Come on in’ left showing!! 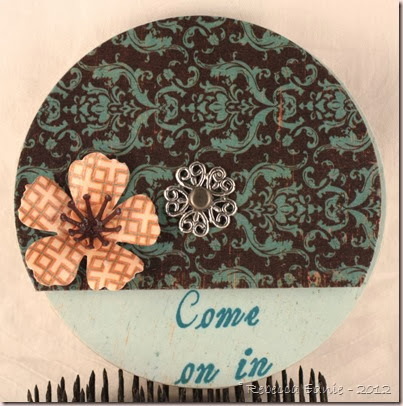 I made it with die cut circles of craft-a-board and patterned paper with a brad and a flattened bead cap in the center. The flower is made from a Memory Box cherry blossom die which I stiffened with outdoor Mod Podge also applied to the rest of the project. Unfortunately, outdoor Mod Podge is sticky even when dried for a long time, I feature I HATE (I hear Martha Stewart decoupage medium is weather proof and not sticky but I didn’t have any) so inside I added two 1” circles of naked craft-a-board so the larger circles would rotate smoothly. There is still one more spot on the under layer for another little note but I couldn’t think of anything else. I can still add something if I want to later. I’ll probably have to add a piece of paper or use Staz-on or archival ink because I’ve sealed it but it could work. These are quick and easy to make; contact me if you’d like the exact measurements. It turned out that three messages underneath would fit perfectly so just email me for the circle and cut off dimensions! We will still be having sketches all through the holidays so if you find yourself bored at all be sure to come on out and play. Do you sew? Quilt? Knit? 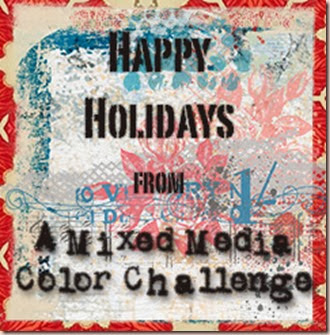 Do Mixed Media? Paint? 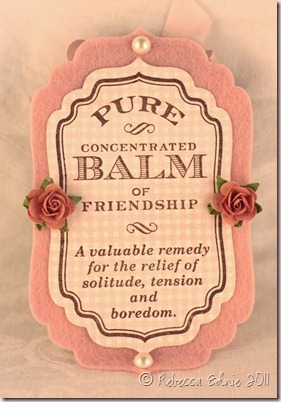 Doesn’t just have to be basic card making, paper crafts and scrapbooking though of course we love to see those crafts! We welcome anything you create! We’d even be happy to see baking that fits the sketch! Please play with our super talented team this week too at Unscripted Sketches! 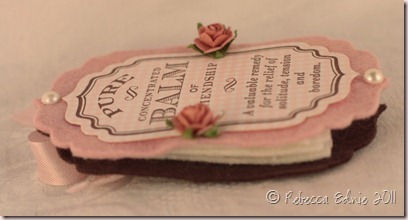 Paper: Authentique, Craft-a-board-Ellen Hutson, chocolate, peach (don’t know real name) CS-SU! Creating this was interesting on so many levels. I’m trying to enjoy fall more by decorating my house a bit. These aren’t colours that go with the little I have decorated but it’s still fun. I hate fall because it brings cold weather right after I’ve enjoyed summer so much and is a forerunner to winter with even more cold. 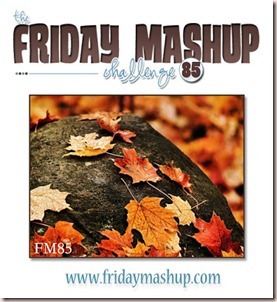 But I really wanted to enter a couple challenges that this theme worked with. I experimented with a new medium, water soluble oil pastels. And I tried out some other new techniques like adding colour to my embossing paste and not the background. So here’s how it’s made. add crumpled tissue paper to the background. I used one with birds, leaves and bird cages. Use gel medium underneath and on top of the tissue and allow some wrinkles to form. add gesso mixed with water over hte top. Create as much opacity as you like. I often add two layers to make sure I don’t get too much coverage the first time. This step is one I don’t know I’d use again but it was fun experimenting. Add dark brown oil pastel around the edges and over the edge, about 1”. add a lighter brown inside that. Buff with a rag and add gilder’s wax to the outside edge spreading some colour across into the center of the canvas. (this didn’t end up showing in the end, I’ll explain as I go). 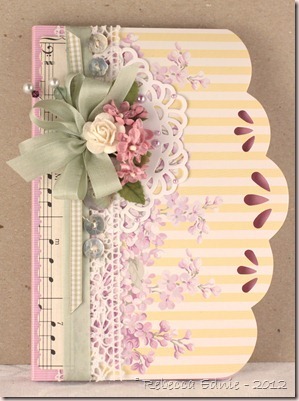 add music paper to the bottom of the page with gel medium, colour with alcohol ink. tear oval shapes from orange paper. I used a die to tear against so my shapes were torn but still smooth-ish on the edges. cut a stem. ink all edges and assemble adding a twine bow . 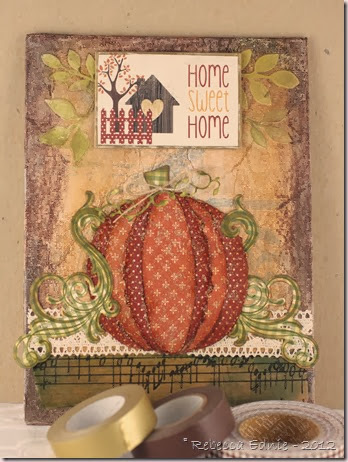 add pumpkin and flourishes to canvas with gel medium. 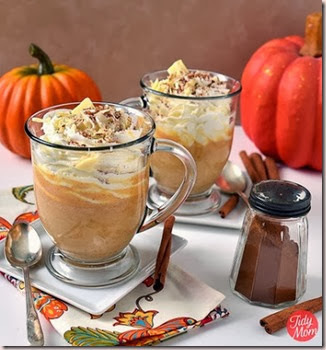 Use layers of scrap paper under upper portion of pumpkin to raise it to the height of the bottom portion which is over the lace. I didn’t make sure it met the edge of the lace. 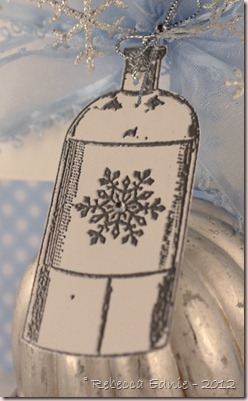 add embossing paste to top of canvas using a stencil. Allow to dry without using heat gun. I found when I used the heat gun, it brought the oil from the oil pastels to the surface and made it shiny. When I buffed it, quite a lot came off and I had to add back more colour. It never looked quite as good as it did in the beginning. when paste is dry, add green and brown ink. the good thing about the oil pastel background is it resists inking so the colour only sticks to the leaves. a nice bonus and something to think about when I use pastels next time. 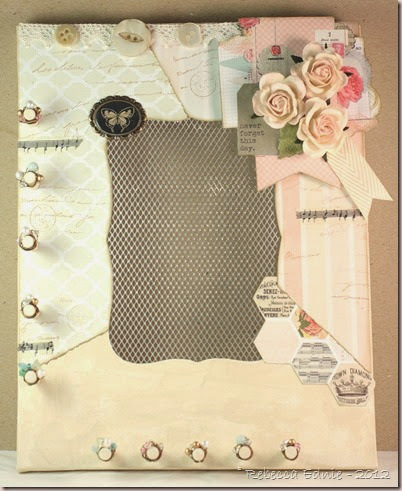 add sentiment using layers of scrap cardstock behind it instead of foam dots. not only was a worried about the foam dots sticking on the oily pastel background, it is more sturdy to use cardstock. 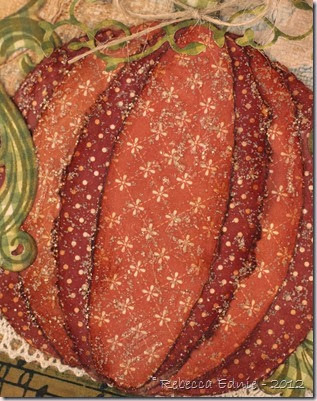 add antique linen distress stickles to the pumpkin using a thin layer and to the heart in the sentiment using a thick layer. The moisture from the stickles and the uneven backing to the pumpkin allowed it to warp slightly which is a shabby look I quite like. 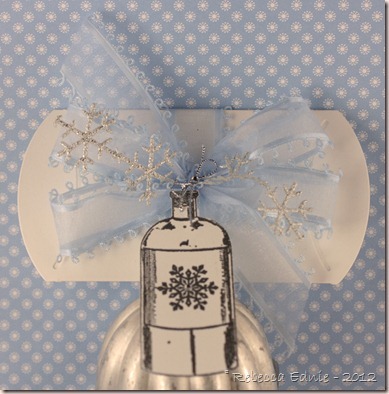 I’m entering this in the holiday SSS Wednesday blog challenge Anything Goes, the Mixed Media Colour Challenge to make a holiday themed project, the SSS Monday blog challenge Anything Goes and TSTR 190 to make a project using a pumpkin. This one was a stumper! I got out all the things we were able to use and decided I’m not a fan of aqua, grey, yellow and melon together. So I left out the yellow and toned down the grey with the glitter. It kinda looks silver now right? Much better! I don’t have melon ink (every time I go to order, it’s sold out, what’s with that??) so I stamped off berry sorbet to get the palest and closest I could. What I like best about it is the bottom. I normally use patterned paper for the bottom. This time I went hunting in my stamps for some of those little companion images that work so well for stamping backgrounds like this. This one came from Vintage Labels I think and I love how it looks like vintage wallpaper. RECIPE: all PTI except Scor-Tape, foam dots and glitter. ETA: I’m sorry the pics are so dark and yellow. I’d retake them but I already mailed it away. Believe it or not, I already lightened and colour corrected them, apparently just not enough. My apologies! I decided to think outside the box for this challenge. 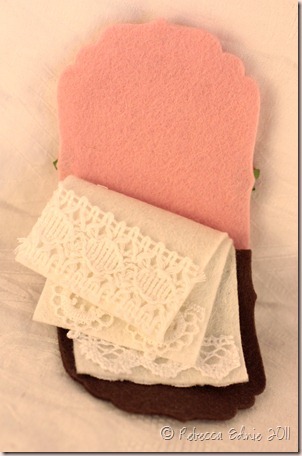 We are to use Felt or Cozy Fabrics as our theme. I made a needle case for a swap on Swap-Bot and it turned out perfect for this challenge! The case is made of felt except for the front panel. You can just see the very tip of the ribbon I tied into a bow threaded through a hole in each page and tied in the back. Here you can see the layers I used to make the case. 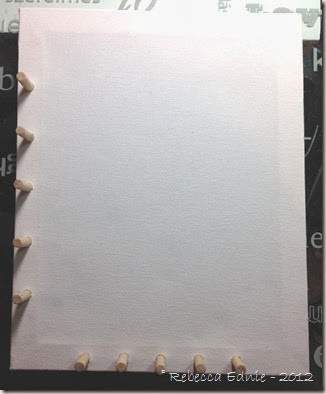 Onto each page I glued a different white lace. They look pretty right? Here you can see the bow that ties it all together. You can’t see the ribbon on the front because it is under the label. 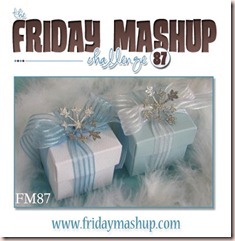 I hope you enjoy the rest of the blog party! If you like my project, I hope you will visit again. I have subscription thingies on my sidebar!